Flight training recording will never be the same! Datatoys Video Systems are easy to use and greatly improve the effectiveness of flight training recording. Utilization of the Datatoys AirKnight HD 3G-SDI high definition platform results in crystal-clear on-board video. High definition video recording of flight lessons allow students to review more effectively and absorb more from each lesson. Get the benefit of the flight recording during student and instructor debriefing session. Immediate visual feedback as to what the student was doing, at what time and resulting in what. Browse points of interest (waypoint, georeference), where the student can improve and where the student is doing well. Minimizes student/instructor debrief time while maximizing productivity. With current budgets being what they are, new found efficiency is a good thing. Accomplish more with less allocated dollars. The system also benefits the instructor in terms of evaluating own performance. It is also of benefit to management for instructor evaluations. 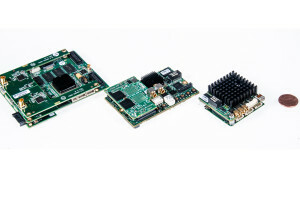 Nano DVR is a tiny lightweight board designed for UAV, ROV and Drone applications. Ideal for Defense, Surveillance, Border Patrol & Drug Enforcement. Nano is also used in applications such as Geospatial, Utilities, Pipeline and Power Line Inspection.